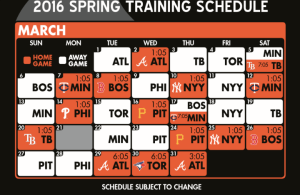 The Orioles are perfect in Spring Training games. they haven't won yet and the prospects are not good for the inaugural win to happen anytime soon. Yesterday, with the most of the expected regular season starting lineup in the game, they were shut out 3-0 by the Twins. 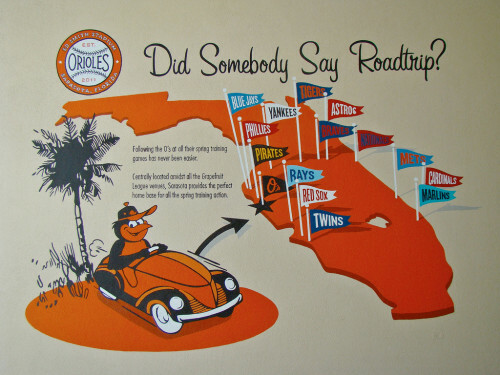 The O's are 0-7 (not counting one tie on the first game of the Spring Training session). It is dismal and probably will not do a lot to sell opening day tickets when they go on sale next week. I know it is Spring Training and I know the games are more to see who can play and who can't, but I'd like to see something other than another loss posted on the scoreboard. I am going to see the team in person on Thursday against the team that shall remain nameless form up north; I'd dearly like to beat that team--just because! Turns out, I think the game will be broadcast on MASN back to the Baltimore area! Hopefully I can get on camera!! On the other hand, the temperature was 77 degrees at Ed Smith Stadium for the game yesterday. It was only in the low-60's here. And I know the palm trees were dancing in the 18 mph breeze! So does it really matter if the team loses, but I am baking in the bright sun with an adult drink in my hand watching the palm trees dance?